This stunning home will WOW you! 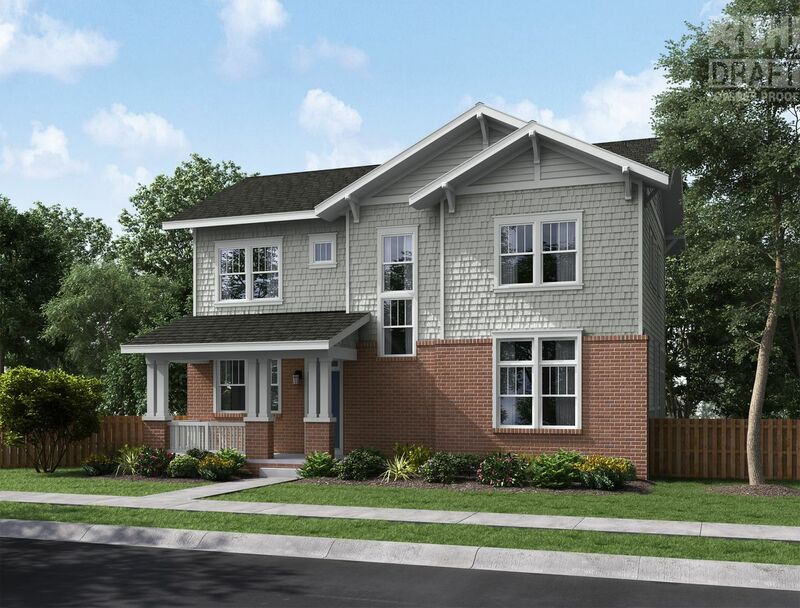 Open floor plan offers 4 Bedrooms and 3.5 Baths with a finished Basement (625 sq ft). Bright and airy kitchen opens to great room and dining area. The gourmet kitchen is truly the center of this home! Spacious island for entertaining, huge pantry to store all your goodies, and plenty of counter space with a gorgeous stainless steel Vault sink. Under cabinet lighting included! Elegance is key in the professionally selected kitchen details - raised panel white cabinets keep that open feel flowing and the white convex pattered kitchen backsplash completes the look. Light Toned Quartz Countertops are featured in the Kitchen and Bathrooms, in keeping with the airy look. Rich 5" Hickory Engineered Wood Floors throughout the Main Level enhance the open floor plan. Cozy up in the great room and relax in front of the gas fireplace. 10 foot ceilings on the first floor, 9 foot ceilings on second floor, and basement with plenty of tall windows to let in the sunshine. Main-floor study has pocket doors and a large storage closet which is the perfect space for a home office or hobby room. Expansive Master suite offers coffered ceiling, 5 piece LUXURY bath highlighted by an elegant subway-tiled shower, and large walk-in closet. Striking floor tile in all baths and Laundry make for an easy clean up. The 2 Secondary bedrooms share a Jack-n-Jill Bath, and both have large closets. All bedrooms and finished basement share a quiet soft toned textured carpet. Convenient 2nd floor Laundry Room has countertop, cabinets and built in sink to make laundry a SNAP! Covered Front Porch, 2-Car attached garage with service door. A/C included. Still time to pick design options. Ready Summer 2019!